Apple will open 25 new Apple Stores in China over the next two years, according to CEO Tim Cook who spoke to Chinese news outlet Sina (via Reuters). The news comes as Cook was reported yesterday to be meeting with China's Vice Minister Ma Kai to discuss the security of user data. The CEO also tweeted a picture of himself in Zhengzhou, where he visited a Foxconn assembly factory. 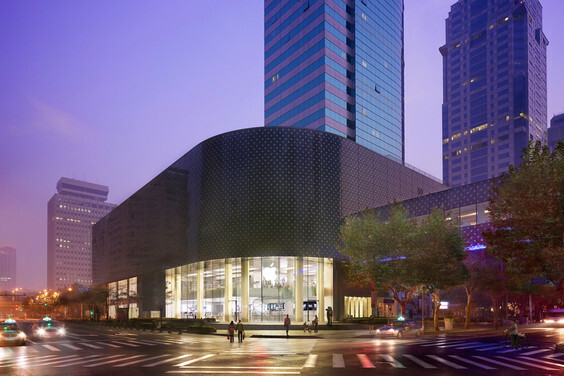 Apple opened its first location in China in 2008 with a store in Beijing, and has since built a number of other stores in other major areas like Shanghai, Shenzhen, and Chongqing. The company has also greatly expanded its presence in the region throughout the past few years, striking a deal with the country's biggest carrier China Mobile and meeting with government officials to discuss market growth. Later this week, Cook will reportedly attend meetings at Beijing's Tsinghua University, where he is a part of the advisory board to the university's School of Economics and Management. The CEO is said also to be meeting with Chinese firms Baidu and Alibaba over the next week to discuss collaboration. Funny how Tim preaches diversity and rights. I guess it matters only up until $$ makes it ok not to matter anymore. China is the worlds second largest economy. The US is the first and has 257 Apple Retail Stores ( not including authorised resellers ). You can get angry all you like but as a business China is equally as important as the US.